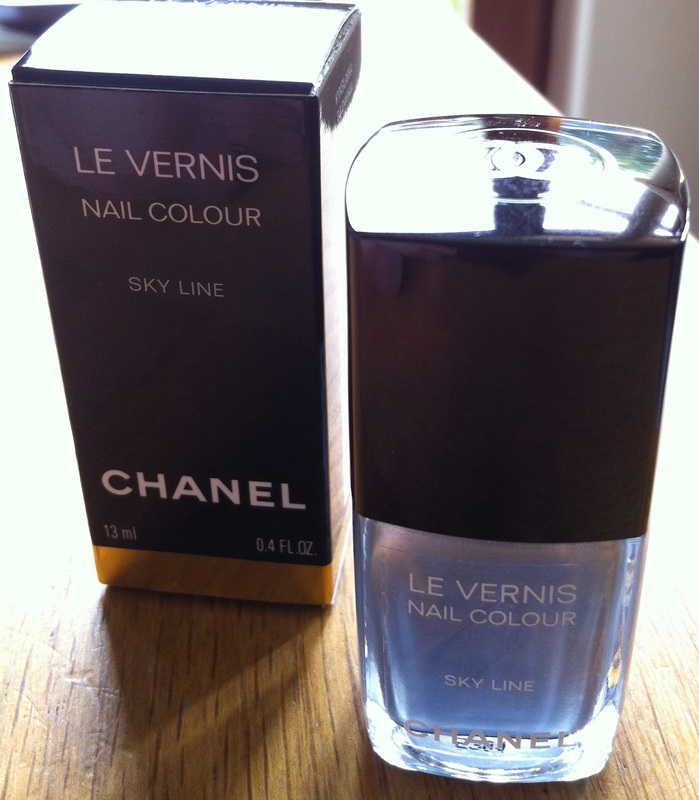 Prolonging your Manicure - Tips & Cheats! OroGold is the latest New Shiny Thing that has recently opened at the corner of Wicklow Street and Clarendon Street where Chesneau used to reside. I just LOVE this colour. It's a dark greyed blue. What I am not so crazy about, however, is the application. I have all of the Chanel Illusion d'Ombre shades (except 81/Fantasme, and I'm severely tempted), including the two new beautiful shades from the latest Expressions de Chanel collection. They are all, without exception, beautiful. They apply easily, are blendable, buildable, sheerable (they're all words, honest!) This one is from the Blue Illusion fastrack collection that's just released (finally, and late, on Monday last). So in an attempt to give my skin a break lately, I decided to try out some of the many many serums and potions I have upstairs in the "to be trialled" box. A few weeks ago was the turn of this, Lancôme's Génifique Youth Activating Concentrate. 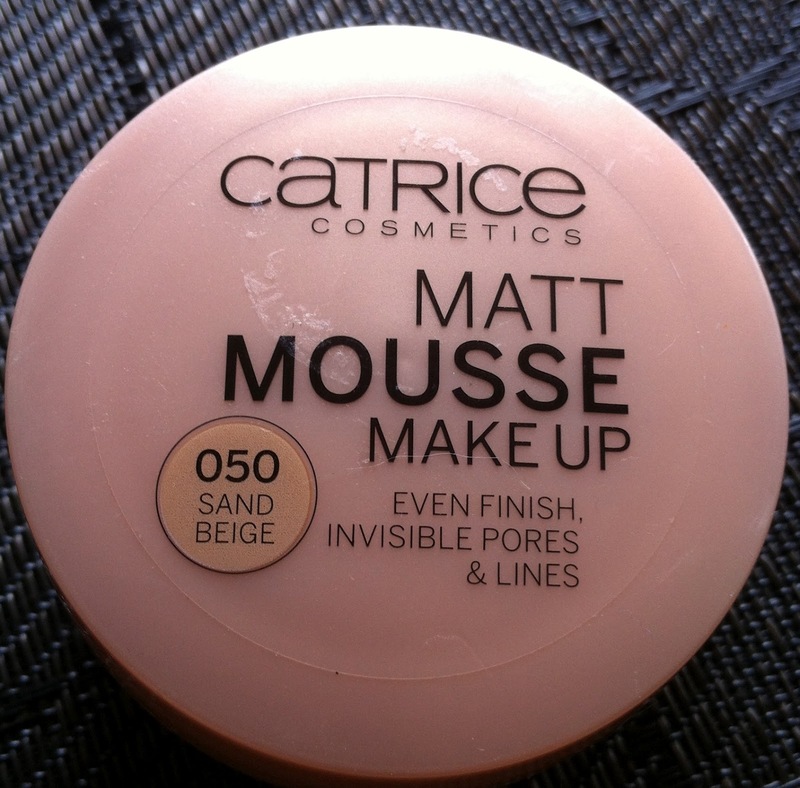 I'm not sure what Catrice have against the "e" in "Matte". I suspect it's a German reference (Catrice are a German brand, and Matte (English) = Matt (German)). 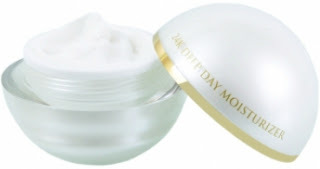 How and ever, lack-of-e aside, I thought I'd give this a whirl, along with another (already reviewed Mousse Matt foundation) as they were both 50% off in my local pharmacy. In this incidence, this foundation was €3.50 instead of the usual €6.99. At that price, definitely worth a look! I'm a fan of some of the Catrice products; their single eyeshadows are not bad at all; great colours, reasonably lasting, reasonably good at blending, and all especially given their prices. Their EyeBrow set is a reasonable dupe for Benefit's Brow Zings offering (at a fraction of the cost) and their dual-ended Gel Eyeliner Brush is, hands down, probably the best cheap brush around for brows and liner at around €3.50 ish for what amounts to two brushes (see here for more love of this brush). So, when I noticed that this foundation was at 50% off in my local chemist (making it around €3 or so), I thought I'd give it a whirl. Worst-case it would prove fodder for a blog post. It's here it's here it's finally here! 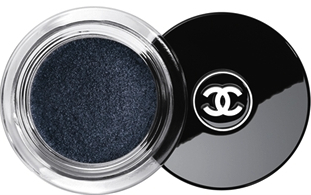 Chanel call this a "delicate shade of pearly blue". That's exactly what it is - slightly pearlescent, slightly blue, slightly faintly hinting at a warm lavender and a cool silver all at once. So. 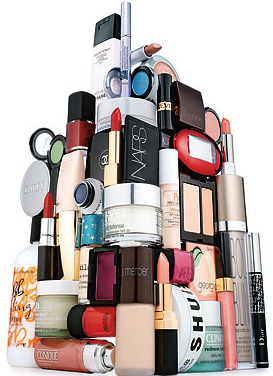 You're a self-confessed makeup junkie with far too much product than you'll ever hope to use. Or you "need it all" for your kit. Or you are a sucker for LE products (Me? Never!) and have to have Every. Single. One. Either way, makeup is not cheap. So how do you make it last? Balm Cleansers - looks yuck, works like a dream! Read more from today's guest post contributor, the lovely @montyc! 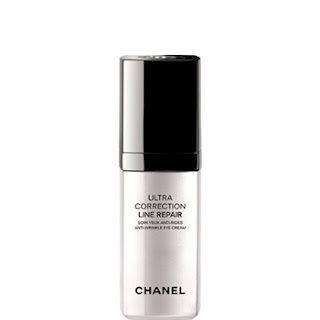 This is just a quick shout out to the Chanel Ultra Correction Line Repair Eye Cream. As most people who have been following this blog will know, I am loyal enough to one particular brand, while occasionally I dabble with other brands (for the sake of investigation and reviews! ), I don't stray too far from the former. When I got a few samples of the Chanel eye cream to try out with some recent purchases, I was non-plussed. I love Chanel makeup however, and a friend of mine swears by Chanel skincare products, so I thought I'd give it a go. I was pleasantly surprised. This set from Sigma retails (from their site) at $56 (around $68 if you include the cheapest shipping option) - so that's around $17 a brush (approx €14 in Irish terms, per brush, inc shipping, assuming you're not purchasing anything else, etc). Once upon a time, Sigma produced cheaply made, reasonably priced, MAC brush dupes, down to the names and numbers. No longer. Now they have grown and, in my opinion, improved and now produce their own brush shapes and ranges. Case-in-point, the Synthetic Kabuki Kit as reviewed here. This is due into the stores tomorrow! 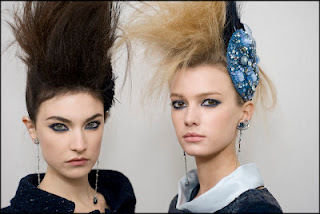 Friday the 13th of July (2012) with Les Expressions de Chanel collection. 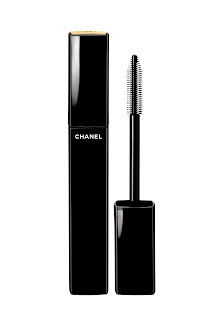 Many thanks to Chanel PR for sending me on a sample for my consideration pre-launch. This will only be available in 10/noir (black). I am not blessed with naturally sucked-in cheeks or high cheekbones. I have an oval shaped face but rounded cheeks (not the cutesy-pie variety of rounded cheeks either unfortunately, the high-colouring slightly-rosacea-inclined ones that have been, down through the years, called unflattering names like "ruddy" and "outdoorsy"). So I correct and conceal the arse out of my redness, and fake a slimmer face and higher cheekbones with contour. "Contouring" is a technique used to give the face a particular shape. In days of yore, it was considered a way to "correct" it, although I don't like that term, as this suggests that there's something wrong with one's face shape (the old school of makeup said that the "perfect" face structure is oval. I think that notion has dated somewhat, especially as models' faces have tended to be more square shaped for the last 10+ years. Now the consensus is to just work with whatever face type you have). 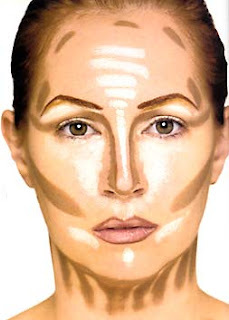 Essentially, "contouring" is used to add depth (shadow) and brightness (highlight) to your face to make your cheekbones higher, or to change the appearance of your nose, or to create an impression of a slimmer face, or to camouflage a double chin, or to shorter a long forehead, or sharpen a weak chin line, or even make your cheeks look slightly rounder... Not everyone wants, or needs, to contour. But if you're curious about the products I use, read on! 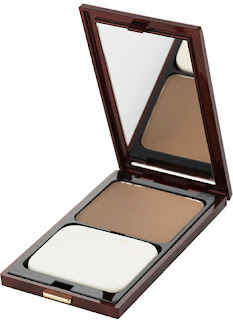 I have posted a blog about contouring products in general here and the tools I use here. I have an oval face but round cheeks and not particularly high cheekbones and personally have always tried to slim down my face and exaggerate my cheekbones. So I got to grips with contouring very early on in my makeup endeavours. I have a huge array of contour products and tools and a few different techniques that I use, but I'm always on the look out for the "perfect" contour product. I have found my perfect cream contour product but was still searching for the powder equivalent. In a recent trip to Harvey Nichols, I stumbled upon the Kevyn Aucoin Sculpting Powder and fell immediately in love... So one purchase later and I'm hooked.